In tonight's episode of Gotham, Bruce has a run-in with his identically-dressed Indian Hill doppelganger. Dopple-Bruce injects Bruce with a syringe -- supplied by Court of Owls member Kathryn -- filled with a substance that makes him lose consciousness. While unconscious, The Court of Owls whisked Bruce away to a faraway place. When he comes to, Bruce finds himself in a drab cell with a barred-window. He walks over to the window, in hopes of ascertaining his current whereabouts, and is stunned to see a snow-covered mountainscape. That begs the question: Where is Bruce? More than likely, Bruce is being held captive at Nanda Parbat, an ancient monastery fortress that is the home of the League of Assassins (a.k.a. The League of Shadows) and located somewhere in the Himalayan mountains. However, since Nanda Parbat plays a major role in The CW's Arrowverse, I don't expect Gotham to refer to the monastery by its actual name. There, Bruce will first meet a mysterious figure known as Temple Shaman, who is portrayed by Raymond J. Barry (Walk Hard: The Dewey Cox Story). Feigning good intentions, Temple Shaman will act as mentor. He'll show Bruce how to unlock the potential of his own mind and training him in an array of physical disciplines so that he can eventually become Gotham's protector. Don't be surprised if he also receives lessons on the importance of theatricality and deception. However, Temple Shaman isn't the only person Bruce will meet there. He will also encounter Ra's al Ghul (played by Star Trek: Deep Space Nine's Alexander Siddig), the League's enigmatic leader. Ra's will reveal to Bruce that it is he has pulling the strings behind-the-scenes. 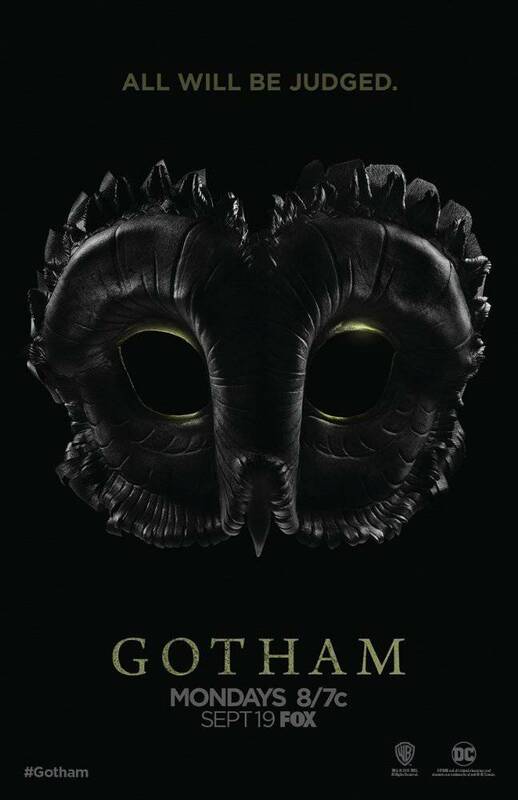 The Court of Owls devises a new plan regarding the future of Gotham, as Gordon uncovers information about his father and uncle’s past, connecting him back to the organization. Meanwhile, Bruce wakes up in the temple and learns of the Shaman’s wish for him. The regular cast features Ben McKenzie as Detective James Gordon, Donal Logue as Harvey Bullock, David Mazouz as Bruce Wayne, Morena Baccarin as Leslie Thompkins, Sean Pertwee as Alfred, Robin Lord Taylor as Oswald Cobblepot/The Penguin, Erin Richards as Barbara Kean, Camren Bicondova as Selina Kyle/the future Catwoman, Cory Michael Smith as Edward Nygma/the future Riddler, Jessica Lucas as Tabitha Galavan, Chris Chalk as Lucius Fox, Drew Powell as Butch Gilzean, Maggie Geha as the future Poison Ivy, Michael Chiklis as Detective Nathaniel Barnes, and Benedict Samuel as Mad Hatter. The guest cast includes James Remar as Frank Gordon, John Doman as Carmine Falcone, Raymond J. Barry as Temple Shaman, and Leslie Hendrix as Kathryn. The spring premiere of Gotham, which is titled “Heroes Rise: These Delicate and Dark Obsessions,” will air Monday, May 1 at 8:00-9:01 PM ET/PT on FOX.